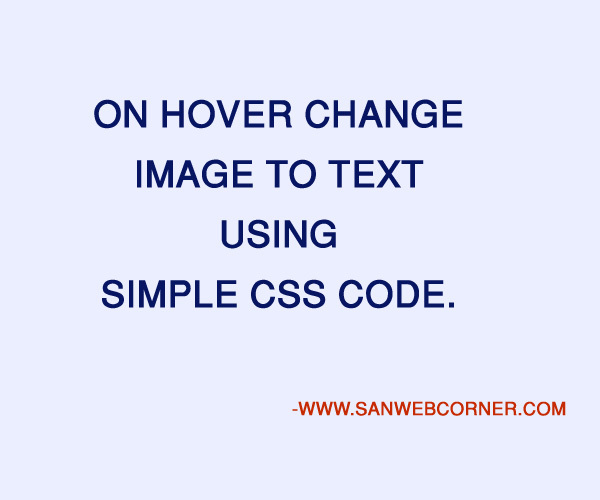 Home » Css » css3 » Html » html5 » on hover change text to image » On Hover Change text to image using simple css code. 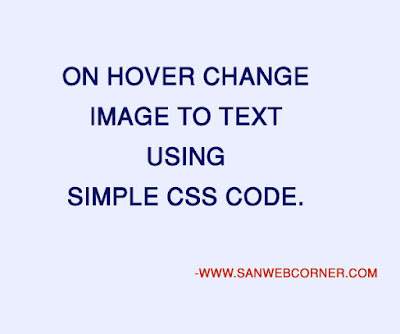 On Hover Change text to image using simple css code. Here will see how to create the concept like on hover the text display the image. The particular image shown from bottom to top slide effect. on mouse hover the text will hide and image will display with slide effect. on mouse out the image will hide and the text will display. This is one of the simple concept it will done by using simple css code. Here is the example shows the concept. In this example the text his 'Hover Here' when you hover the text my tutorial logo will display. This types of concept will use for some place in websites. Now will see how it works first the div called .c--anim-btn this div first we should set the height of the div to give overflow hidden for this div and then on over the div margin-top will give show the logo will visible particular place the text will be hide. I hope this example is useful.